EAW020109 ENGLAND (1948). 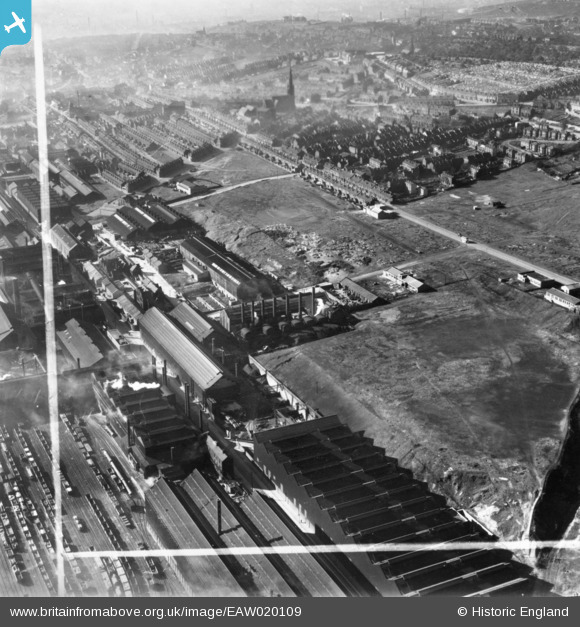 Petre Street, Garter Street, part of the Atlas and Norfolk Steel Works and environs, Sheffield, from the east, 1948. This image has been produced from a print marked by Aerofilms Ltd for photo editing. Title [EAW020109] Petre Street, Garter Street, part of the Atlas and Norfolk Steel Works and environs, Sheffield, from the east, 1948. This image has been produced from a print marked by Aerofilms Ltd for photo editing.